We have a new Alexia Products Catalina that pairs well with the $2.50/1 Alexia Product coupon that is available. 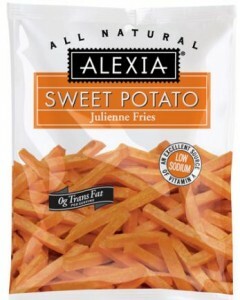 If you shop at Safeway they have Alexia Frozen Potatoes 13.5 to 28 oz. on sale (with in-ad coupon or added to your card with Just 4 U savings) for just $2.49. So, use the $2.50/1 Alexia Product coupon and they are FREE. Buy two and you will make $1.